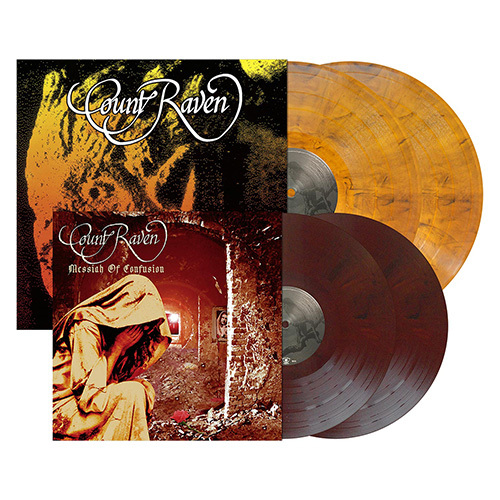 After successfully launching the first two Count Raven albums, Destruction Of The Void and Storm Warning, on vinyl, it is time to re-issue the next two albums – High On Infinity and Messiah Of Confusion – on June 15th! Both albums will be available on vinyl for the first time ever and have been remastered by Patrick W. Engel for the best sound quality possible; the LPs also include bonus tracks (from the CD re-issues) as well as posters. Count Raven formed in 1989 and established themselves in the worldwide Heavy Metal scene as a unique Doom band, able to deliver sadness and depth in highly emotional and heavy songs. Pre-order these classic albums at IndieMerch, EMP, or eBay; or, stream the albums digitally now online.